Denver's dashing new landmark consists of 2,700 tons of steel in an awesome angle. The Denver Art Museum expansion was inspired by the Rockies and designed to be a signature landmark for the city of Denver. The plans called for transforming more than 2,700 tons of steel into a complicated skeleton that would support and create oblique angles. 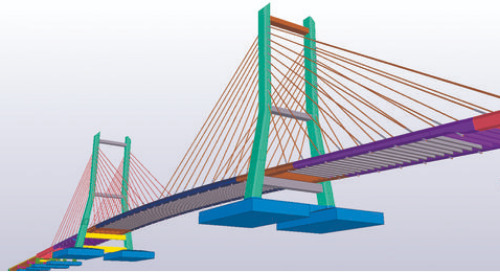 Keeping the whole thing together was Tekla Structures. The Denver Art Museum (DAM) expansion, also called the Frederic C. Hamilton Building, was designed by well-known architect Daniel Libeskind in collaboration with Denver-based Davis Partnership Architects. Libeskind says to have been inspired by the light and geology of the famous North American mountain range, the Rockies, and that he copied the shapes for the building through an airplane window while flying over the mountains. The building project intends to put Denver on the architectural map of the world. Construction of the expansion took three years, with up to 200 people working on different parts of the building each day. Installation of more than 9,000 façade panels of titanium started in 2004. 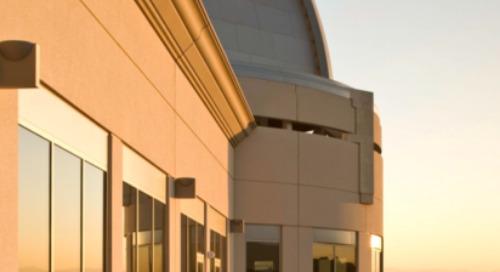 The building was opened to the public on October 7, 2006. The plans called for transforming more than 2,700 tons of steel and about 50,000 bolts – three times the amount in a conventional building of the same size – into a complicated skeleton that would support and create oblique angles. Building the steel frame took approximately 13 months. 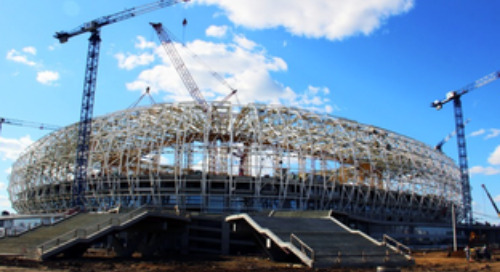 Construction workers began to assemble the building’s angular skeleton in July 2003 – a true challenge with the complex structures and slopes, where steel erectors faced the difficulty of climbing around the beams on site. 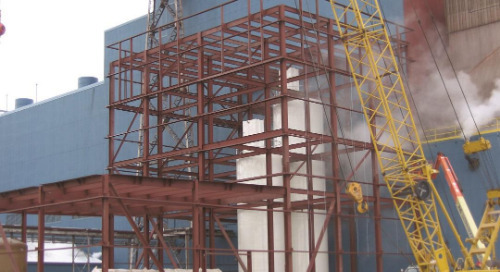 Each beam plays a role in holding up the building, and if one beam moved or bent the wrong way, it would create problems throughout the structure. General contractor M.A. Mortenson Construction decided to use the latest technology to pinpoint the exact location of each beam. 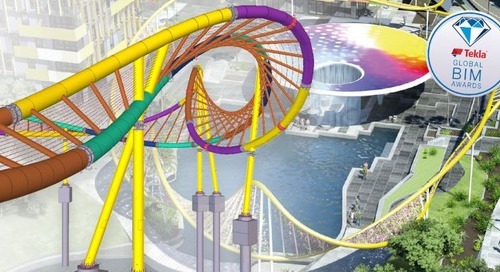 This technology was provided by Tekla Structures (Xsteel v8), the modeling software that kept the whole thing together. 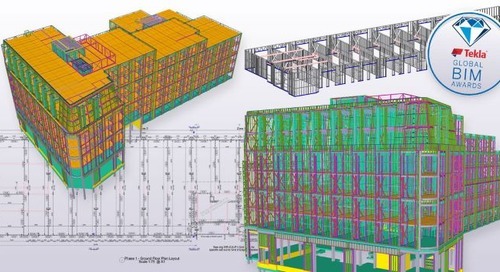 The program created a 3D model of the building, which detailed everything down to the size of each of the thousands of bolts used to secure beams. Modeling also introduced a fourth dimension to the project: time. 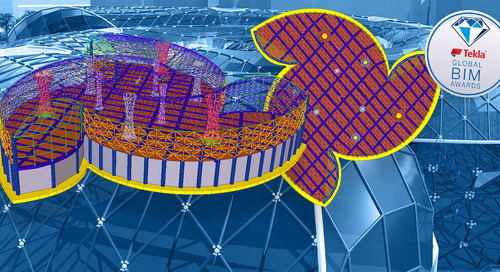 Tekla Structures took the whole four-year building schedule – drawn up beforehand – and integrated it into the model to create a movie that showed every step of construction. The movie enabled everyone working on the project to visualize the work before they did it. 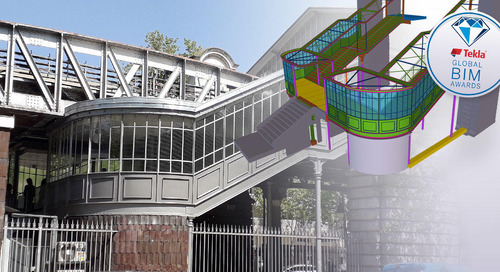 Tekla Structures solution allowed all team members – M.A. Mortenson Construction (general contractor), Dowco Consultants (detailer), Structural Consultants Inc. (connection designer), ARUP (structural engineer), L.P.R. (erector), and Zimmerman Metals Inc. (steel fabricator) – to stay in the building information loop. One thing that helped with the schedule acceleration was being able to export all or portions of the detailing model from the viewer model to the CAD software and create shoring, then import data back to the viewer model and pass on to detailing. Another time-saver, according to Magruder, was the ability to import reference models of cranes into the Viewer model, enabling accurate staging and positioning plans to be completed in the erector’s office rather than in the field. The Denver Art Museum expansion was a very geometrically complex structure. It’s often difficult to create the intricate angles that occur at building connections. The level of accuracy provided with Tekla Structures modeling has the capability to determine down to the last millimeter the fit-up of a given bolt or welded configuration. 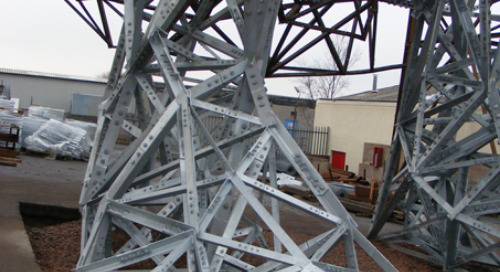 This meant that the accuracy of the steel framing resulted in a very smooth erection process.